GP - Southern suburbs of Perth - 70% of billings! We have an exciting opportunity available in a GP owned medical centre with state of the art facilities in the Southern suburbs of Perth. This is a permanent position replacing a female GP, with an initial 2 year contract to be extended. They are busy predominantly bulk billing clinic with an available patient base so you can be sure of getting up and running quite quickly. The practice is open Monday – Friday 8.30am – 5.30pm and on Saturday mornings 8.30am-12pm. Patient base is mixed and they specialise in chronic disease, skin care, minor surgery and mental health management. You will be offered 70% of billings with a minimum guarantee of $2-2,500 per week for the first 3 months if needed. Minimum contract is 2 years. Working hours are between 35 – 40 per week and flexible starting and finishing times. There is some weekend work, normally a 1:8 Saturdays, but this is shared amongst all GPs so is not onerous. 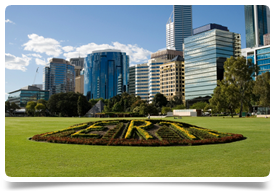 Perth is located along the waters of the Swan River and the west of the city runs along the Indian Ocean. It is the state capital of Western Australia and home to around 1.6 million people, making it a highly multi-cultural city and a top choice for UK expats with a fantastic social scene boasting plenty of alfresco style cafes and restaurants. Perth is great for families with beautiful beaches to the north and south of the city and the clean, clear coastline attracts many visitors who enjoy snorkelling, sailing, surfing or swimming with the wild dolphins that famously live in the nearby bay areas. The weather is excellent with mild winters and hot, dry summers to enjoy whether you choose to spend time in the city, on the coast or in the country.